Authorities including bomb experts searched an apartment in Revere, Massachusetts, and removed items, after two deadly bombs struck the Boston Marathon. But investigators remained mum about just how the search may be linked to the bombing investigation. A law enforcement official said the search was not a suggestion that police may have a suspect. At this point there is no suspect and no leading theory on motive, the official said. The search on the home is connected to a young Saudi citizen who is visiting on a student visa and has been questioned, the official said. 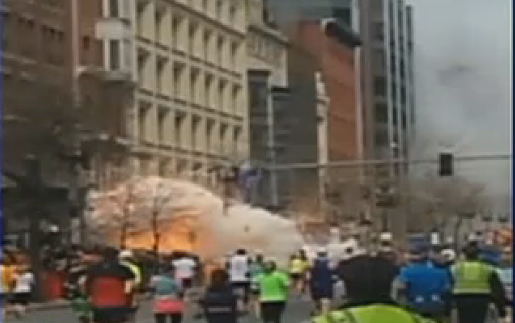 So far, the official told CNN, he has not heard of anything being found connecting the person to the bombings. Authorities also plan to search through videos from surveillance cameras near the attack in Boston’s Copley Square. So far, no footage has been spotted showing someone placing the bombs. Posted: 4/16/13 at 9:02 AM under News Story.